Marcelo has revealed his admiration for Juventus but is unaware how the rumours of a move to the Italian team came about. The Serie A champions have been strongly linked with the defender, who could team up again with former Real Madrid team-mate Cristiano Ronaldo at the Bianconeri. Once a certain starter for Madrid, Marcelo has seemingly fallen out of favour this season, starting just 11 LaLiga games as Santiago Solari has instead opted for Sergio Reguilon at left-back. While fondly recalling a previous battle against Juve legend Pavel Nedved during an interview with Esporte Interativo, the 30-year-old insisted he knows nothing about a potential switch to Italy. 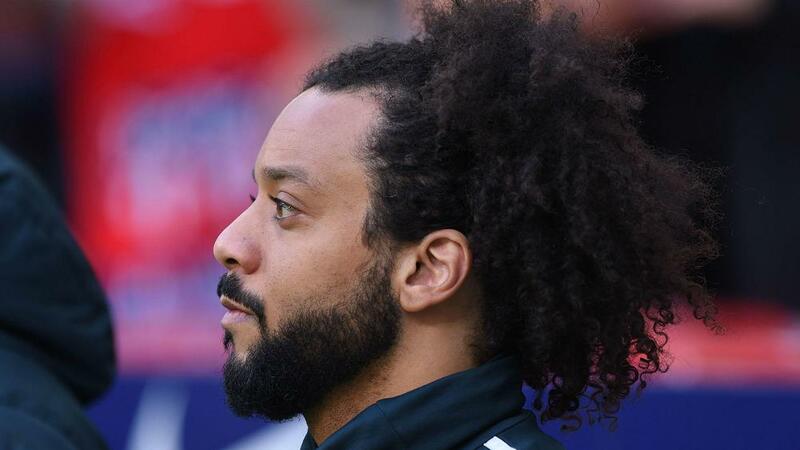 "I'd also like to know where are these rumours coming from because it's not normal," Marcelo said. "It's funny because they [the press] make pictures with a Juve shirt. "Juve is a splendid team since the times of [Pavel] Nedved, I once played against them and he was there, it was amazing, I changed shirts with him. "But I'm from Real Madrid, I have a contract with Real Madrid and the things that are being published, I don't know what they are [coming from], you don't know, many people don't know either and honestly, I'm a sincere man, you know it. "If there was anything to be told, I'd say it - but nothing." Marcelo also disclosed how Ronaldo had informed him of his intentions to exit Madrid prior to helping the club win the Champions League for a third successive year. The Brazil international said: "We were training for the final and he [Ronaldo] said to me: 'I'm leaving."